Bagram. Shamali Plain. 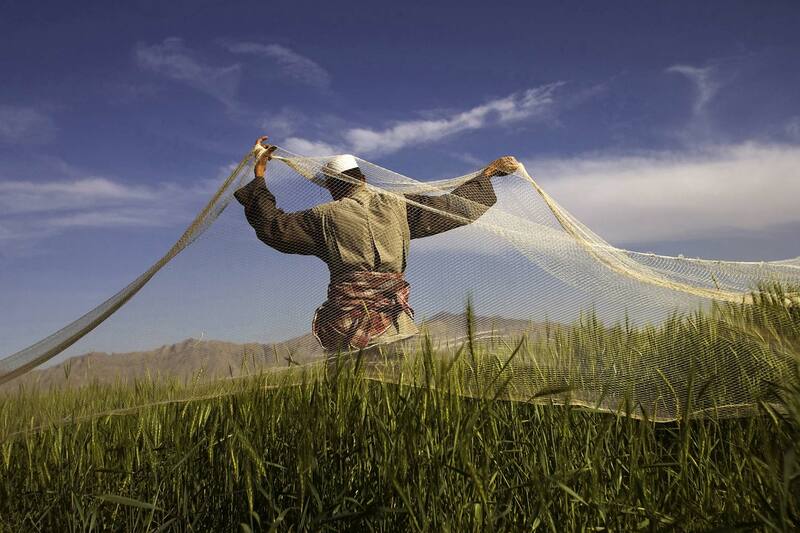 Afghanistan.2007 A man lays a net over crops to trap Bodahana birds in Bagram, on the Shamali Plain.